Barbara Edwards Contemporary, Calgary is pleased to present a solo exhibition of new works by artist, Kristopher Karklin. 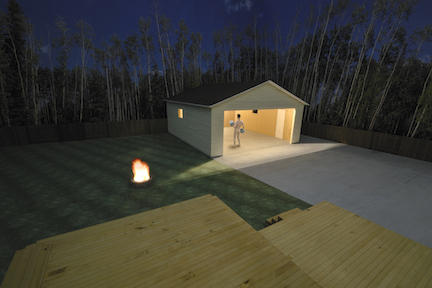 In the featured series of digital prints, he expands on his experiences living in the work camps near his hometown of Fort McMurray, Alberta, with a new focus on the external landscape. Karklin creates photographs of human figures in simulated spaces through a laborious process combining sculpture and digital manipulation. In this series, the vastness of the Alberta landscape is contained and presented as an interior. 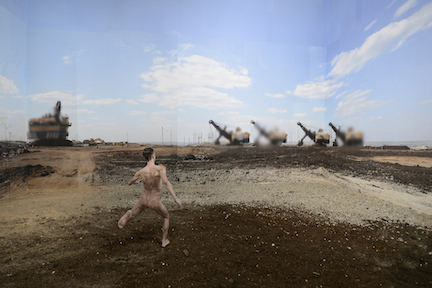 Confinement and conflict become part of the narrative that unfolds with the figures he situates in these spaces. Influenced by the work of contemporary artists Thomas Demand, Jeff Wall, David Hockney and Eric Fischl among others, Karklin’s works resemble human experiences both familiar and surreal, stemming from his own memories. Born in Manitoba in 1983, Kristopher Karklin grew up in rural Northern Alberta and completed his BFA at the Alberta College of Art and Design in 2007. Karklin has been the recipient of several distinguished awards including the 2007 ACAD Board of Governor’s Award and the 2012 Lieutenant Governor of Alberta Arts Award for Emerging Artists. 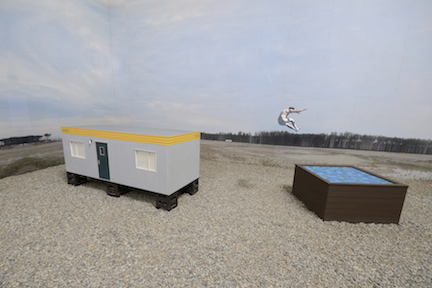 Karklin’s work has been included in major museum exhibitions at the Museum of Contemporary Art, Calgary; the Art Gallery of Calgary; and the Art Gallery of Alberta, Edmonton as a participant of the 2013 Alberta Biennial. His work may be found in the public collection of the Alberta Foundation for the Arts as well as private collections in both Canada and the United States including the distinguished photographic collection of Sir Elton John. The BEC Lecture featuring Kristopher Karklin and Mark Mullin in conversation is viewable online through the link HERE. 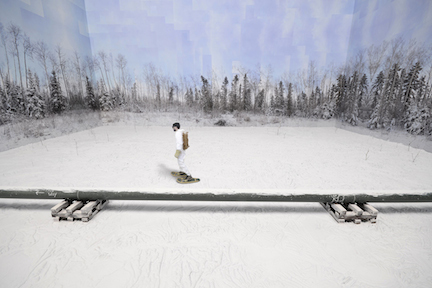 "Artist Kristopher Karklin Manipulates his Memories of Oilsands". Written by Stephen Hunt, Calgary Herald. "Being a Successful Artist Requires Perseverance." Written by Melissa Villeneuve, Lethbridge Herald.